Being a radiologist today can feel a bit like being on the Starship Enterprise: you have all these Star-Trek-like tools at your disposal – devices and applications with the ability to produce incredibly sophisticated digital images and insights that we couldn’t have imagined even twenty years ago. This technology and advanced visualization capabilities have fundamentally changed the way we obtain important diagnostic information and provide value for patients. But the reality is, it gets lonely in space. Behind this technology are people – and people still seek a meaningful human exchange, especially patients undergoing potentially stressful imaging exams. The irony of our situation is that, for all of us humans in the imaging spaceship, technology has become a barrier to meaningful care, even as the images that technology helps us acquire wield unprecedented clinical value. 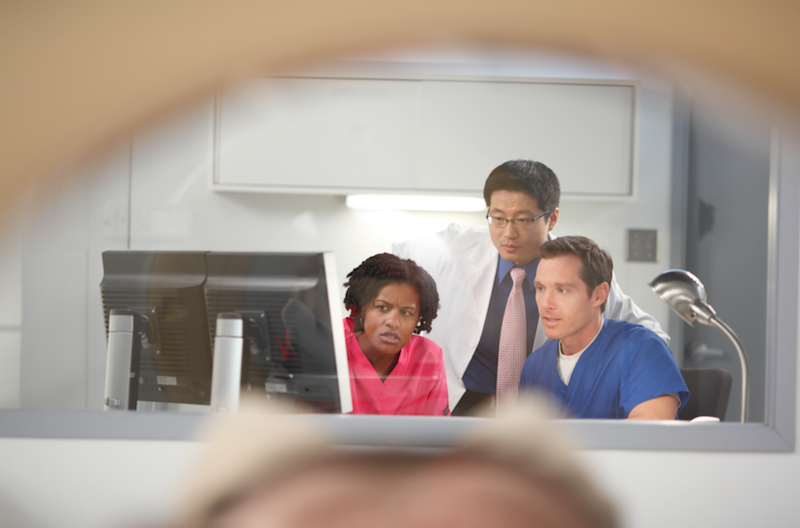 This fundamental shift away from people-centered radiology has several problems. First – and speaking selfishly on behalf of my profession – the shift away from direct patient-provider engagement has diminished the perception of the central role radiology plays in patient care. As a member of the Radiological Society of North America (RSNA) Patient-Centered Radiology Steering Committee, my colleagues and I recently surveyed 694 RSNA members on various aspects of patient-centered radiology. Of these, 611, or 89 percent, agreed that promoting awareness of radiology's role in patients' overall healthcare is important to how they practice. However, only 31 percent said their practices regularly promote awareness of radiology's role in patients' overall healthcare.1 The upshot is that, in an era of value-based care, the value of radiology in the healthcare continuum is less visible and less appreciated. Of course, that has implications for funding, research, student interest in the field, staff morale, and more. Second, while most of us pursued a career in healthcare out of a desire to connect with patients, 73% of our survey participants reported that time or workload frequently prevented them from communicating directly with patients.1 This lack of connection is a loss for both patients and radiologists. I’ve always been a firm believer that humanity and compassion were key to helping patients have a better experience when seeking care. A radiologist or radiology technologist who has the time to answer the patient’s questions before an exam can help alleviate critical anxiety and concerns. Similarly, the practice of supportive, calming, and instructive communication between staff and patients is crucial to acquiring the high-quality images necessary to move the patient forward with an appropriate and timely treatment plan. By no means am I detracting from the power or potential of technology to help us deliver better patient outcomes. Indeed, I am grateful for my technology tools every day. However, in the imaging technology space race, it’s important that we ensure our systemic solutions and innovations are designed with the people behind the images in mind. Calm, engaged patients move less, so solutions designed to provide a positive distraction help mitigate motion artifacts. Technologists supported by easy-to-use technology are less preoccupied by setup details; and, standardized protocols and automated sequence applications help them spend more time focused on obtaining better histories and acquiring better images. Radiologists enabled by seamlessly connected systems can focus on making accurate and actionable clinical decisions that empower them to play a more valuable role in patient care. At the end of the day, our technology should help facilitate a seamless pathway for radiologists to deliver a definitive diagnosis and send patients on their way to appropriate care. There is an opportunity for thoughtfully innovative technology to enhance that opportunity for collaboration, rather than to hinder it. Technology that is simplified, intuitive and puts patients at the center empowers radiologists to focus on what matters most. That’s a futuristic vision we can all get behind. NOTE: Dr. Kemp is a clinical consultant to Philips and member of an advisory team focused on developing patient- and staff-centered solutions to improve imaging outcomes. For more information on Philips Radiology Solutions, visit www.philips.com/radiology. 2. Harolds, Jay A. Burnout of Radiologists: Frequency, Risk Factors, and Remedies: A Report of the ACR Commission on Human Resources. Journal of American Radiology. DOI: 10.1016/j.jacr.2015.11.003.